The aparthotel was fully renovated in 2010 and it offers 25 guest rooms in an excellent location. Guests are welcomed in a lobby with 24-hour reception and check-out service, a hotel safe and a currency exchange, and further facilities include a restaurant.. 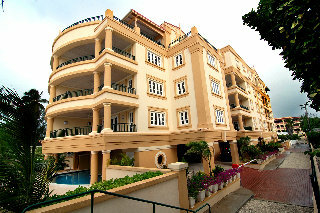 This family run complex offers guests a friendly atmosphere and comprises 61 apartments spread over 3 floors. The lobby offers a 24-hour reception, a safe, a currency exchange desk, a cloakroom and a lift. Furthermore, the hotel has its own caf, newspaper.. 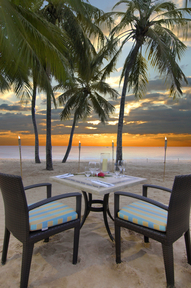 The Divi Heritage Beach Resort is an intimate treasure overlooking exclusive St. James Beach in Barbados. Twenty-two elegant suites inspired by the architecture of the colonial great houses feature private verandas with sweeping views. 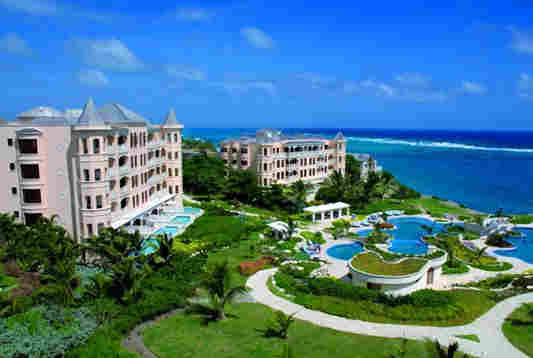 The Divi Heritage..
A delightful hotel, within walking distance of the spectacular Dover Beach on Barbados' south coast. 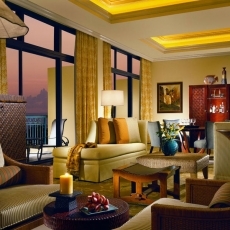 Each of the 35 rooms boasts a spacious oceanfront balcony or patio with breathtaking views. This unique boutique property is relaxed and informal, offering.. 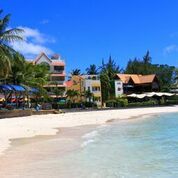 The Sunswept Beach Hotel is located in the heart of Holetown, surrounded by all the west coast of Barbados has to offer, right on the beach. The four-storey complex houses 23 simple self-catering studios, each with its own wonderful view of the picturesque.. Sneak away to the tranquility & hospitality of the All Seasons Resort - Europa, nestled in the heart of Sunset Crest, St. James. 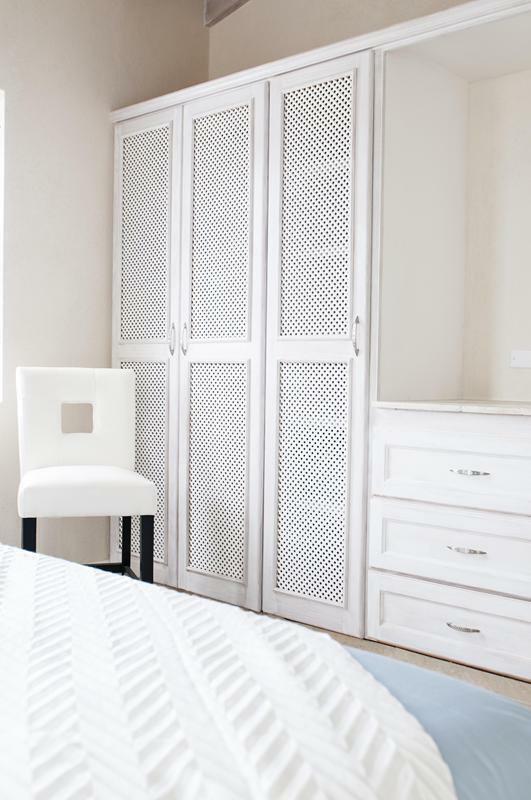 These elegant en-suite self-contained rooms consist of fully equipped kitchenettes, dining areas, living areas, private patios,.. Located on the South coast of the island next to a white sandy beach in Christchurch, this is an all-inclusive hotel that offers great value accommodation and entertainment for both singles and couples. It's close to a selection of shops and restaurants..
Set in a resort area of small hotels, the Blue Horizon stands out because of its brightly colored buildings. The casual, open-air ambience appeals to couples and singles seeking moderately priced getaways where there's shopping, dining, nightlife, and.. 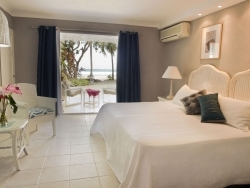 This charming, family-friendly beach apartment hotel offers a total of 31 accommodation units, including 10 apartments, 4 suites and 16 studios. It is ideal for business travellers and holidaymakers alike. 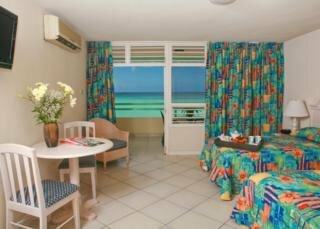 Facilities on offer to guests at this air-conditioned..
Butterfly Beach Hotel is located on the South Coast of Barbados in a beach and ocean front setting, with access to two white-sand beaches and a friendly and relaxed atmosphere. 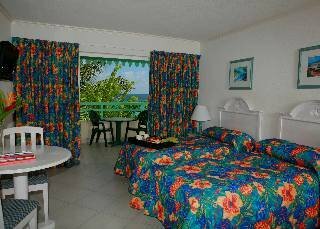 Refurbished in June 2009, this is an excellent hotel for those looking for..
Barbados is famous for its white sandy beaches, brightly painted villages, exotic flowers, and friendly atmosphere is undoubtedly still a favourite for vacationer's of all ages. 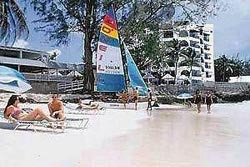 Coconut Court Beach Resort, family owned and operated for over 20 years offers.. 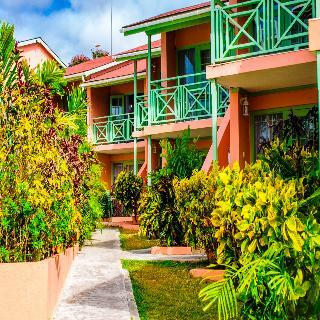 This family-friendly hotel in Barbados offers 32 rooms and welcomes guests in a lobby with 24-hour reception and check-out service. Facilities at this air-conditioned apartment hotel include a hotel safe, currency exchange facilities, a cloakroom, lift.. This property is conveniently situated in Christ church . 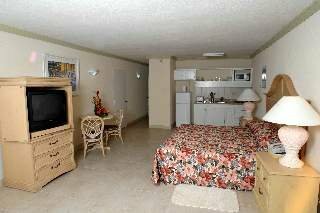 The hotel has the benefit of being on the beach and close to local bars, restaurants and entertainment. 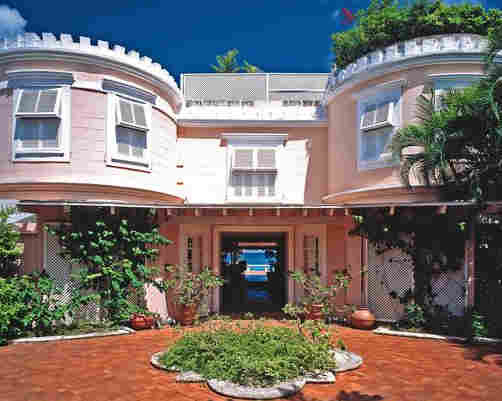 The hotel sits in 4 \'bd acres of gardens on St. James Beach on the fashionable and attractive west coast. There are watersports available on the beach.. 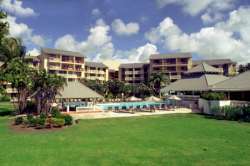 The Divi Southwinds Beach Resort in Barbados is ideally located on a half mile of white sand beach amidst twenty acres of tropical gardens. The lively St. Lawrence Gap - a unique area of shops, restaurants, and nightlife - runs through the Divi Southwinds,.. Featuring 59 rooms over 2 floors the hotel consists of 20 deluxe rooms, 19 studios with a sea view, 10 studios with a garden view and 10 single rooms. 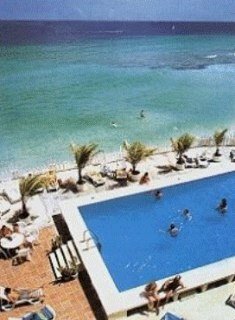 The beach hotel offers a range of services and facilities, including a lobby, a bar, a restaurant and.. The 27-room family-friendly aparthotel offers all the amenities for families looking to spend a perfect holiday in a home-away-from-home environment. In addition to a lobby area with 24-hour reception and check-out services, a hotel safe and currency.. 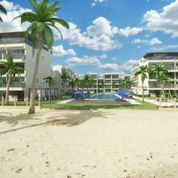 The newly built community offers one, two, three and four bedroom apartments, located on Barbados' beautiful Platinum Coast, just opposite the inviting waters of Alleyne's Bay. The apartment reflects Bajan culture: loud and colourful. 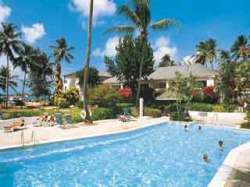 The apartments offer..
Set within a backdrop of picturesque secluded bay near Silver Sands, the hotel is a south coast laid back haven on Barbados. 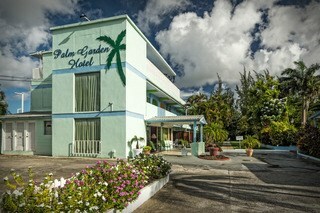 This original iconic 6-acre surf resort is internationally of interest for its locale, in the heart of the kite boarding region..
Palm Garden Hotel is a peaceful, cozy hotel ideally situated off the busy strip of Worthing Main road. It is a mere (5) five minutes walk from the beautiful Worthing Beach and within walking distance to many bars, restaurants, supermarkets, banks, casinos.. The hotel is an oasis of tranquillity that offers many advantages without the disadvantages that ordinarily go with remoteness. 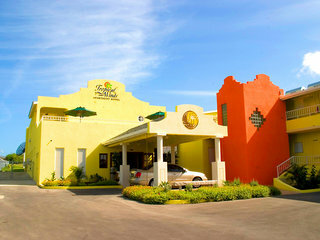 The air-conditioned hotel offers 40 guest rooms with beautiful views of the golf course, pool or the beautiful gardens. Facilities.. The property consists of 14 rooms. This popular hotel offers the perfect stay for business and leisure travellers alike. The establishment is wheelchair-accessible. Check-out is at . This establishment allows pets. The Hotel allows large pets. 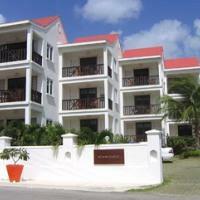 SOUTHERN PALMS is a well established hotel, situated on the South West coast, close to St Lawrence`s Gap. 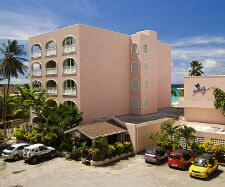 The hotel backs directly on to one of the best beaches in Barbados, where there are free watersports. 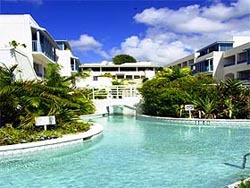 In addition there are two swimming pools, a..
Sunbay Hotel is located in Christ Church on the south coast of Barbados. At the hotel there is a reception, bar, restaurant, WiFi, fitness room, childrens pool and pool.Rooms with bathroom/shower, hairdryer, telephone, TV, WiFi, safe (extra charge), mini..
Renovated in December 2010, the family-friendly hotel has 10 guest rooms and a lobby area with hotel safe. Public areas have complimentary Internet access and parking facilities in the car park are free for guests. The hotel provides services for weddings.. This property enjoys a privileged location in Christ church . There are a total of 4 rooms on the premises. A key collection service is available. 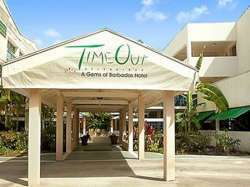 Time Out Hotel is perfectly situated in the St Lawrence Gap area, the capital of Barbados' nightlife and mere steps away from the beautiful white sands of Dover Beach. 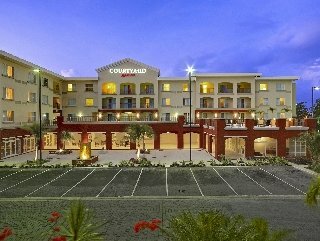 A wide selection of restaurants and nightclubs are all within walking distance of this..
41 air-conditioned guestrooms at The Palms Resort feature safes (surcharge applies) and ceiling fans. Balconies offer pool or garden views. 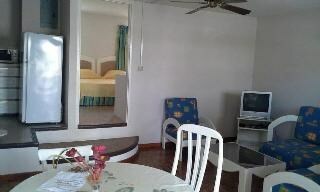 All rooms include separate dining areas and sofa beds. 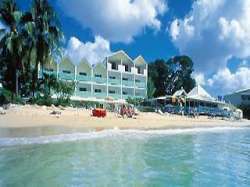 Kitchenettes include stovetops, microwaves, refrigerators,..
LocationThis beach hotel is located on the Gold Coast of Barbados in Paynes Bay, St. James, which is considered to be one of the island's best white sandy beaches. 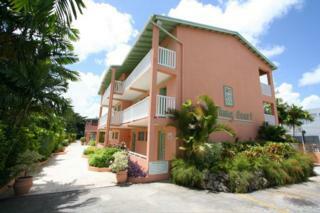 It is only 10 minutes from Bridgetown, the capital city of Barbados and has easy access.. 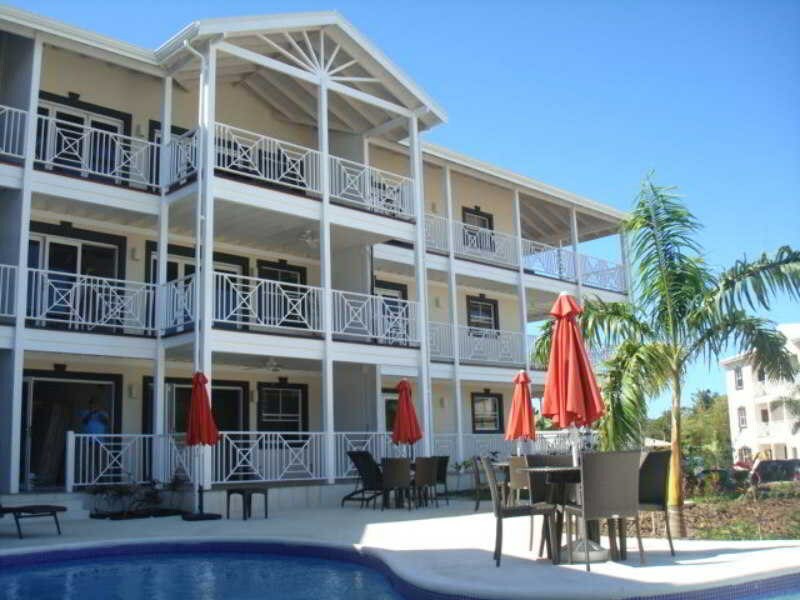 This apartment hotel is an island style establishment with a relaxed and friendly atmosphere. It consists of two 3-storey buildings comprising 24 room types, divided into studios and 1-bedroom suites, near to and on the beach. Facilities on offer to guests.. 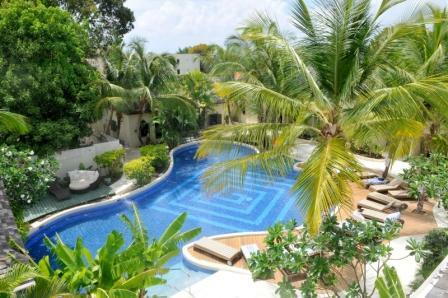 This air-conditioned aparthotel offers 22 luxury apartments and personalised service, such as a personal cook, private cars, private tours and babysitters, and caters for other special requests. 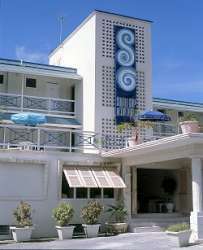 Further facilities include a lobby with 24-hour check-out..
Yellow Bird Hotel is located at the end of St. Lawrence Gap; an area on the south coast of the island famous for it's fine restaurants, lively nightlife and shopping. 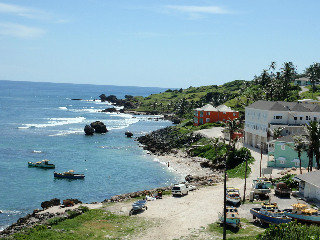 The hotel is directly across the street from the lovely "Little Bay" where the sea is.. This elegant Hotel sits on one of the island's most spectacular, currently has 146 rooms including 6 luxurious Penthouse Suites, all beautifully decorated in tropical pastel prints and handcrafted furniture. 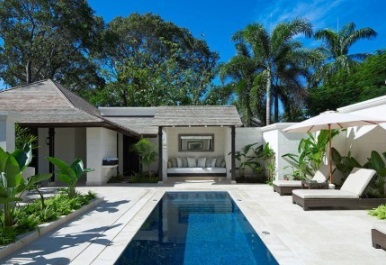 This resort is one of the newest hotels on.. 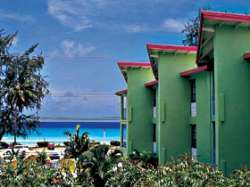 The Almond Beach Resort is a family friendly all inclusive hotel located in the Parish of St.Peters, on the prestigious West Coast of Barbados. 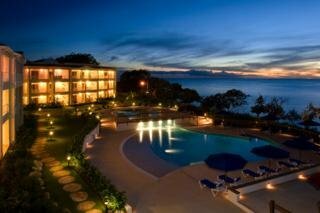 This exceptional four star resort sits on a beautiful half mile stretch of beach. Ideal for either relaxing..
Bougainvillea Beach Resort blends elegance and authentic Caribbean charm with an attention to detail. 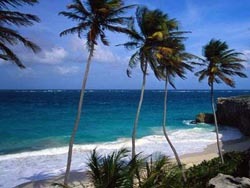 It is ideally located on the southern coast of Barbados. 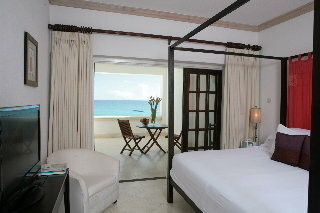 It`s 100 room all suite resort overlooks a quarter mile of white, sandy beach and invigorating.. Situated in a quiet and safe neighbourhood 10 mins from the airport. 5 minutes drive to many beautiful beaches. A short walk to shopping mall, supermarket, pharmacy, cinema & public transportation. There is also a drive-in cinema around the corner.This.. 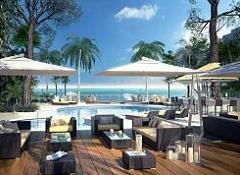 This is a contemporary business hotel in Barbados which was built in 2010 and which offers a total of 118 rooms. The hotel offers a business centre on site and on-site parking is free of charge. Other facilities at this air-conditioned establishment include.. Constructed in 1804, is part of the historic Garrison Area of Barbados and was originally the Rum Store for the British Regiment. The Garrison, its history and surrounding buildings, make up one of the finest examples of a military Garrison in the Western.. 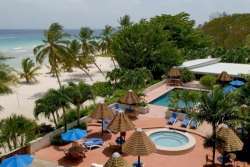 Located in the tranquil little fishing community of Shermans, Little Good Harbour`s luxury guest cottages impart the unique individuality of one of the last family-run ocean front hotels on the fashionable west coast of Barbados. Just minutes north of..
Come to Mango Bay Hotel & Beach Club and discover what many have sought yet few have found. A place where barefoot elegance easily embraces casual sophistication. 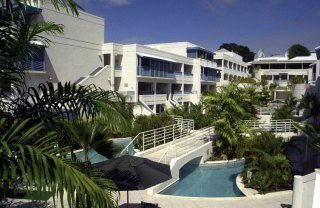 Mango Bay is a hotel paradise, from a welcome as warm as the sunshine to a lovely pool as..
Set on the pristine sands of St Lawrence Gap, Ocean Two Resort is a contemporary Barbados hotel perfect for couples seeking a romantic escape or a family planning a dream Caribbean holiday. 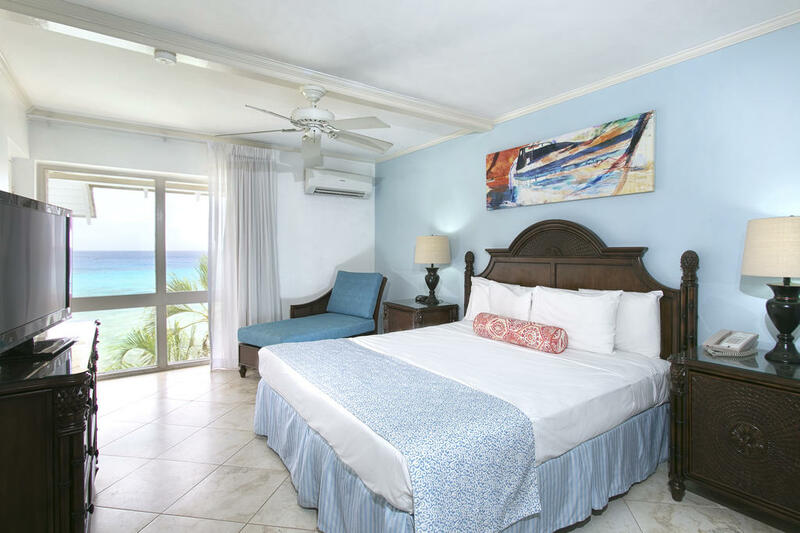 Ocean Two Resort appeals with its modern guestrooms and suites,..
A beachfront jewel set in the gorgeous, pristine Carlisle Bay on Needham's Point, the Radisson Aquatica Resort Barbados is an idyllic getaway that embodies the best in Caribbean luxury. During your visit, take advantage of the hotel's ideal location fronting.. 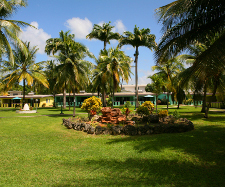 The main building is almost 200 years old, and is beautifully complemented by the Plantation House, an ultra modern extension built in typically tropical architecture. Both buildings together hold 92 of the most luxurious rooms on the south coast. Further.. Truly a complementary blend of the traditional and the modern, the Savannah is the most prestigious of the Gems. From here, a world apart, one is just ten minutes away from down town Bridgetown and twenty-fine minutes from the International Airport. 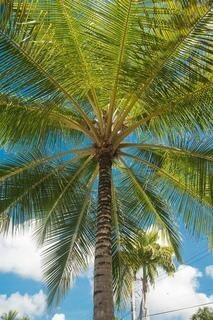 Almost..
Swaying palms and venerable Mahogany trees shade pink and white buildings. Gentle pathways wind through hedges of Sea Grape, Croton and Hibiscus, leading down to sparkling white beaches lapped by the clear Caribbean Sea. 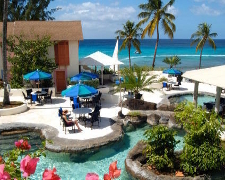 As much to enjoy as there are..
LocationThe charming beach hotel is located on the south coast of Barbados, near the picturesque Silver Rock Beach and other places of interest nearby include Christchurch Parish Church, the rum factory (20 minutes' drive) and Folkstone Marine Park (40.. 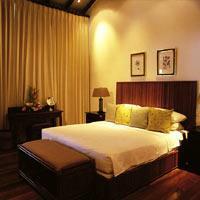 The air-conditioned hotel offers all the services and amenities of a luxury hotel set within an intimate environment. 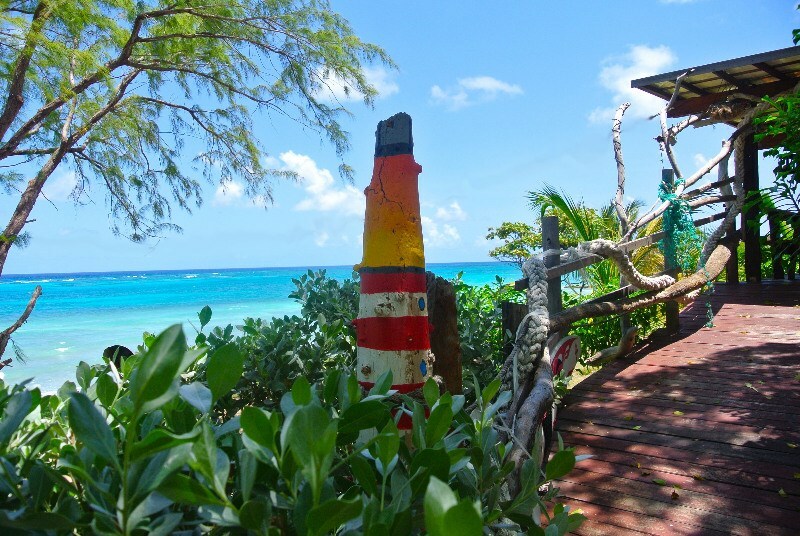 This property located on the beach has a cafe, restaurant, bar/lounge and room service is available. Use of the car park is absolutely.. 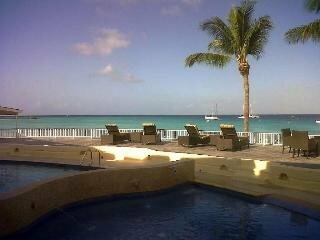 LOCATION - Rockley Beach, Christ Church, south coast, Barbados, West Indies. Opposite Rockley Beach on the south coast of the island. Conveniently close to shops, supermarkets, restaurants and night life. 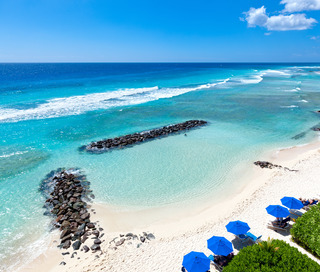 For more restaurants and great nightlife, the..
Sugar Bay Barbados is set on 5.5 acres of stunning beachfront with 150 meters of white sandy beach and a tranquil ocean lagoon. 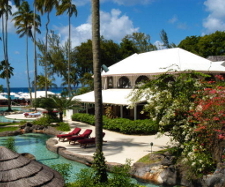 Sugar Bay is located in the UNESCO World Heritage Site, the Historic Garrison and only 15 minutes from the airport and 10 minutes..
Sugar Cane Club is nestled graciously on the exotic West coast of Barbados, enjoying a prime location in a secluded setting and tranquil tropical ambiance. 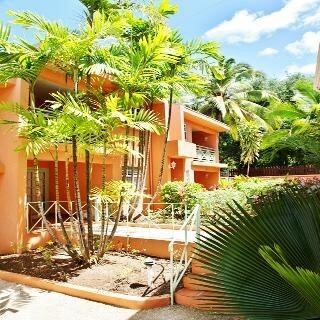 The property boasts accommodation of 40 one-bedroom, 2 two-bedroom suites and 1 private villa all.. Redesigned and reimagined, Tamarind rests on a 750-foot crescent of premium white sandy beach on Barbados’ West Coast and is as family-friendly as it is an exclusive adult hideaway. 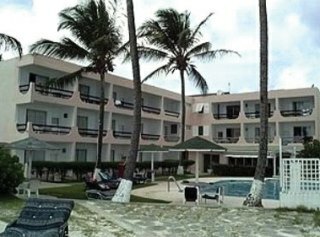 Tamarind features fully renovated and modernized guestrooms, the addition.. 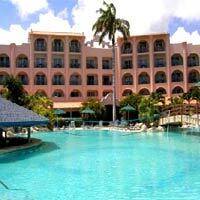 The Club Barbados and Spa Resort will make your stay truly comfortable and enjoyable. 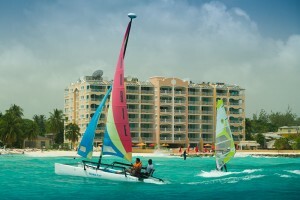 Diversions such as dining, water sports, activities and excursions are only part of our service. 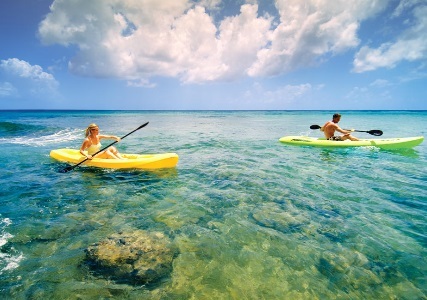 The Club Barbados and Spa offers inclusive romantic vacations and honeymoon.. 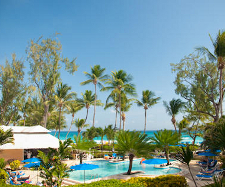 The Sands Barbados is situated on a stunning white sandy beach on the South Coast of Barbados. 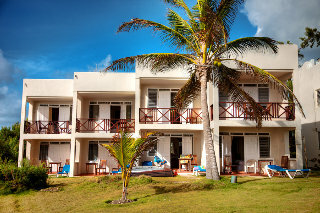 This new, contemporary-styled all inclusive hotel is located on the property that was formerly known as Sandy Beach Hotel. 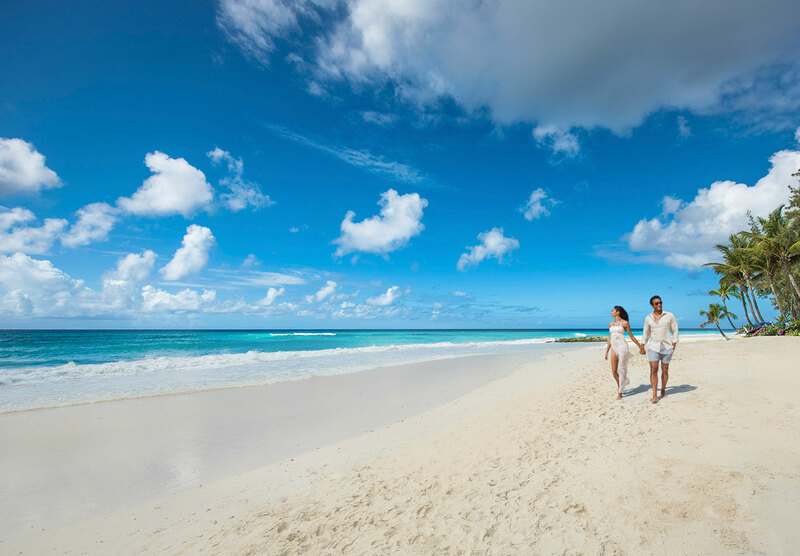 It is ideal for families, groups,..
A true gem among luxury hotels in the Caribbean, Treasure Beach by Elegant Hotels is located in Paynes Bay, St. James, one of the most beautiful beaches on the Platinum West Coast of Barbados. 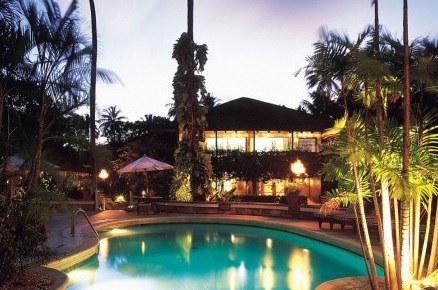 The 35 room all-suite hotel is set in lush, tropical gardens.. Experience the ultimate in premium all-inclusive ease at Turtle Beach, an all-suite enclave on Barbados’ lively and luminous South Coast. Guests are sure to find a perfect relaxation spot on the 1,500-foot white sandy beach and instantly relax as they.. 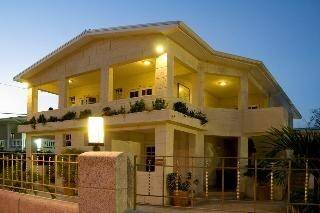 Perfectly located on the prestigious west coast of Barbados. This boutique hotel overlooks the azure waters of the Caribbean Sea and combines the back drop with all the luxury and pampering services you deserve this vacation. There are two buildings.. Introducing Waves Hotel Spa by Elegant Hotels A contemporary All Inclusive Wellness Experience - coming Mid July 2016 The oceanfront hotel offers an entirely unique Barbados holiday, where the All Inclusive experience goes beyond premium accommodation..
Cobblers Cove, Barbados is an English Country House style hotel, with spacious comfortable rooms, courteous staff and excellent food. 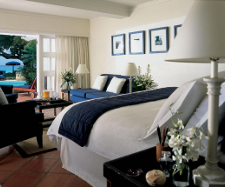 A member of the prestigious Relais & Châteaux, Cobblers Cove is one of the best loved hotels in the Caribbean. Cobblers.. Situated on the finest stretch of Barbados' Platinum West Coast, the beachfront Colony Club is a timeless retreat restored from a former private Colonial Club. Its sophisticated ambience extends to all 96 tastefully appointed guestrooms and suites. 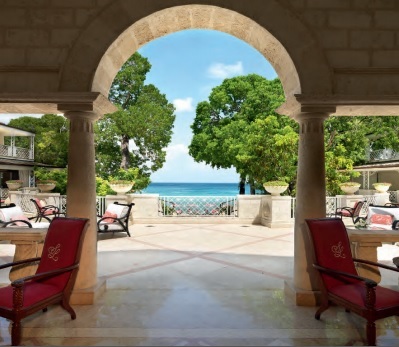 From..
Coral Reef Club is is the epitome of West Indian Elegance set amidst twelve acres of beautiful landscaped gardens on the calm West Coast of Barbados. 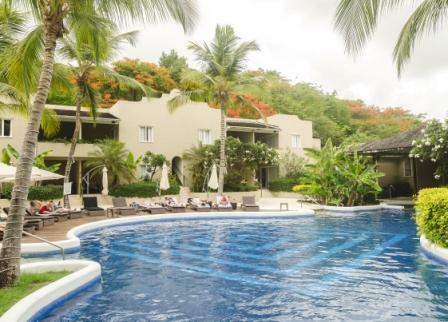 Renowned for its special ambiance and classic island style, this family owned and run resort is one of..
On the eastern edge of the Caribbean Sea is a place of enchantment, an oasis of luxury where the hospitality is friendly and fit for sophisticated travellers. The Fairmont Royal Pavilion has been called 'The Jewel in the Crown of Barbados', an elegant..
Hilton Barbados, the newest resort in Hilton Caribbean’s portfolio enjoys a prime location on the lush tropical peninsula of Needham’s Point surrounded by two powdery soft white sand beaches and pristine blue waters. This five star resort sits on the.. 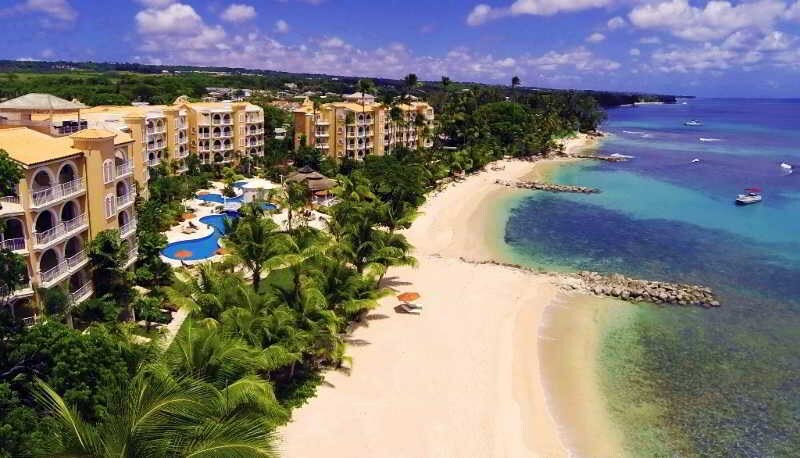 Port Ferdinand Marina and Luxury Condominium Resort is a sixteen acre exclusive residential marina resort located just north of historic Speightstown on the Barbados Riviera. Port Ferdinand is a boat owner's haven offering a lifestyle unmatched by any..
Set on Barbados' North West coast in an area known for its beautiful beaches, welcoming culture and rich history. This beautiful property features a stunning collection of beachfront homes coupled with an array of attractive amenities and exceptional.. 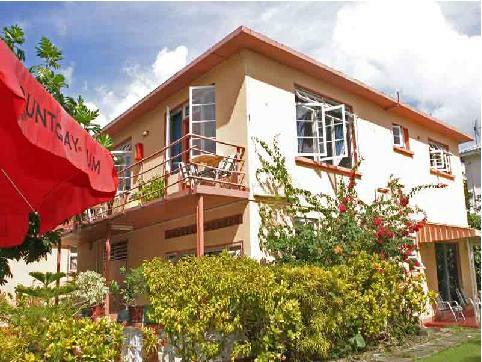 Located on the South Coast of Barbados on the beautiful Dover Beach, within walking distance to St. Lawrence Gap - known for its vibrant nightlife. Just 15 minute drive from Grantley Adams International Airport and the Capital of Bridgetown. Set on 10.. The all-new, all-suite resort in the Spirited St. Lawrence Gap area will feature many of our signature accommodations including magnificent Skypool suites, Swim-up Suites and Millionaire Suites. Dine at the selection of speciality restaurants serving..
Sandy Lane has it all: a perfect location overlooking the Caribbean Sea on a tranquil coral sand beach on Barbados west coast. 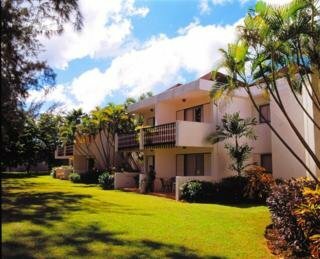 palladium style buildings, shaded by mature mahogany trees, whose timeless and classic elegance is mirrored in the spacious.. 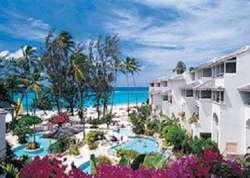 The Crane Resort is located on the South East Coast of Barbados and overlooks a half-mile of pink sands known as Crane Beach, one of the “top ten beaches of the world,” according to 'Lifestyles of the Rich and Famous'. Known for casual luxury and warm..
"ADULT ONLY HOTEL" The House makes Barbados a private island - a tranquil and eclectic adults-only haven, where guests will truly feel at home. Located on Barbados' world renowned Platinum West Coast on a pristine stretch of white sand beach, the 34 junior.. 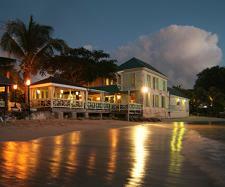 The Sandpiper is discreetly one of the most exclusive small hotels in the West Indies. 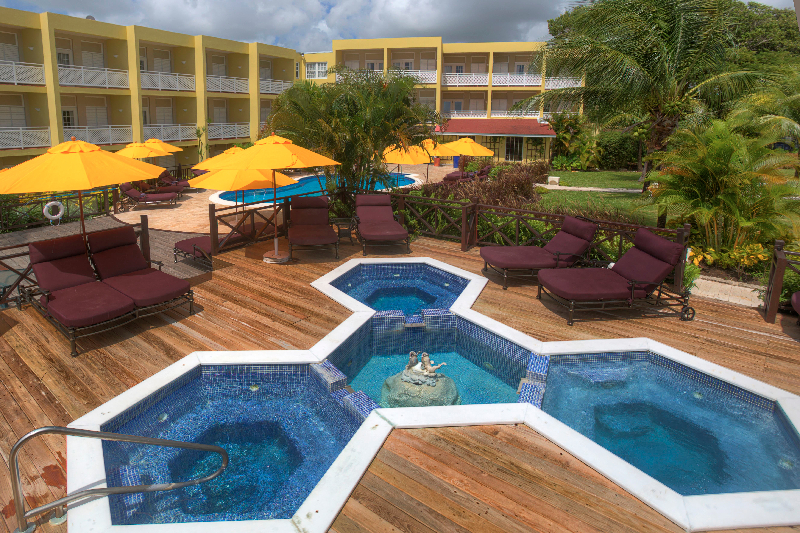 The hotel is embraced by lush gardens filled with tropical flora, creating an atmosphere of ultimate privacy. The hotel is situated on a beautiful sandy beach gently..